Although Pakistan itself has been known to be having financial problems, the nation’s banks are apparently doing quite well. In fact, Pakistani banks seem to be more resilient than one analyst had expected them to be. 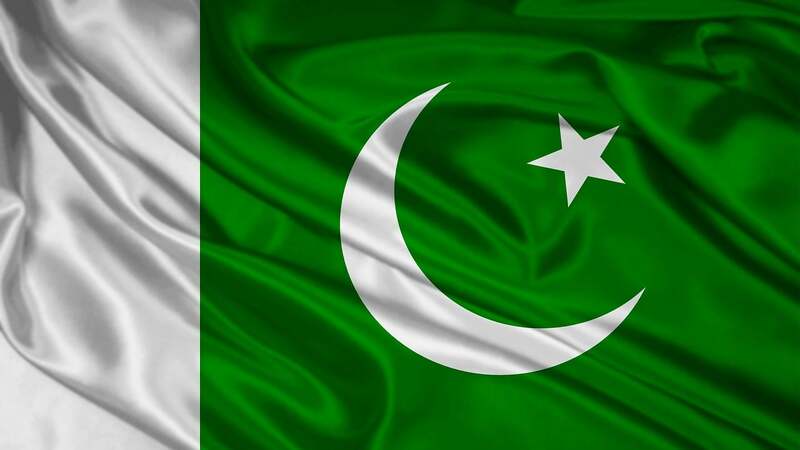 HSBC analyst Aybek Islamov updated his views on Pakistani banks in a report this week. He said the banks he covers released their 2018 financial reports, and he found their Common Equity Tier 1 (CET1) ratios to be more stable than he had previously expected. He also described their asset quality as “resilient” even though the Pakistani rupee has depreciated 26% against the U.S. dollar and the State Bank of Pakistan hiked interest rates by a total of 400 basis points in 2018. Both discoveries have increased his confidence in his positive view of the nation’s banks. Based on his calculations, net currency positions appear “neutral to positive” in aggregate, he added. He estimates net FX positions at 24% for Habib Bank, 8% at United Bank and 0% at MCB Bank. He believes these numbers mean the banks would be able to manage even further depreciation of the Pakistani rupee against the U.S. dollar. Islamov notes that Pakistan’s economy does still present some macro concerns even after the relief packages from Saudi Arabia, the United Arab Emirates and China. The nation’s import cover by currency reserves is still “precariously low” at less than three months. Due to the pow level, he believes a residual currency depreciation risk continues. He notes that discussions with the International Monetary Fund continue, which means an aid package from the IMF is likely. Such a package would provide much-needed relief to the country, although it’s unclear when it might arrive. The IMF estimates that Pakistan’s GDP growth will fall from 5.2% in 2018 to 2.5% by 2024 if Islamabad doesn’t make any adjustments. Inflation in Pakistan has climbed to the highest level since 2013. Despite these macro factors, Pakistani banks appear to be holding up well. Islamov found that the banks continue to have strong asset quality even though the Pakistani rupee has depreciated. He noted that a “favourable currency composition of loans” protected Habib and MCB against deterioration as the rupee depreciated 12% during the fourth quarter. He expressed surprise at the stability seen among the banks’ CET1 ratios despite the negative impact from rate hikes in 2018.He saw two main drivers of this stability. The first is the risk-weighted asset mix, which he said contracted at MCB and United Bank as they cut back on their market risk-weighted assets. Currency translation gains on foreign assets provided a non-cash boost to Habib Bank. He explained that the banks enjoyed some level of immunity from equity erosion as the rupee depreciated, due to their net long exposures to foreign currencies. He added that on the surface, the Pakistani banks seem to have short exposures to foreign currencies, but after looking more closely and accounting for impacts from off-balance sheet exposures, all three banks have a net long open currency position, which should be positive for equity preservation this year. Islamov believes the large off-balance sheet positions mostly reflect currency forwards and unused lines of guarantees and commitments denominated in foreign currencies. “Based on the real effective exchange rate, the State Bank of Pakistan’s measure of the PKR suggests sustained strength in the currency,” he explained. The rupee appreciated 3% against a basic of its main trading partners. 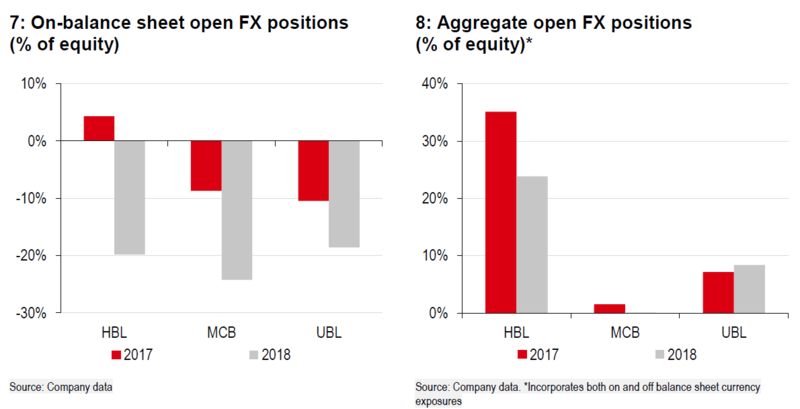 If the Pakistani rupee depreciates another 5%, he believes Habib and United Bank’s net long positions relative to equity should see equity inflation. The two banks would then benefit from gains in revaluation. He estimates that MCB holds a net neutral position, however. Islamov expects strong net interest income growth to offset higher tax rates for Habib and United Bank. He’s looking for a 44% quarter-over-quarter increase in net income for Habib and 11% for United Bank, led by a 12% sequential increase in net interest income. However, he expects a 35% sequential decline in net income for MCB, mostly due to its provision for a 4% super tax charge on its 2017 earnings. He maintains his Buy rating on Habib Bank and raised his price target to PKR239 from PKR215. His positive revisions reflect stronger growth in net interest income on a larger loan base and securities volumes with lower operating expenses off a lower base last year. He maintains his Buy rating on MCB as well and raised his target price from PKR259 to PKR266. The main driver of his positive revisions for MCB is higher net interest income. He also maintains his Buy rating on United Bank and raised his price target from PKR248 to PKR259. He now expects the bank’s net income to grow 68% this year and estimates lower-than-expected growth in operating expenses and higher-than-expected net interest income.